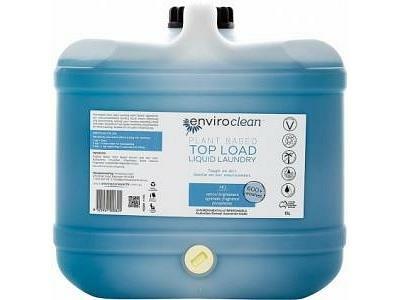 enviroCare Top Load Laundry Liquid is a gentle detergent which takes out the dirt without damaging clothes and without irritating skin when they’re worn. Designed for use in top loading machines, it’s suitable for both whites and coloureds, works at all water temperatures, and can be used for hand-washing as well. There are no phosphates, chlorine, colours or fragrances, and the surfactants are 100% biodegradable and safe for septic tanks and sewage systems.